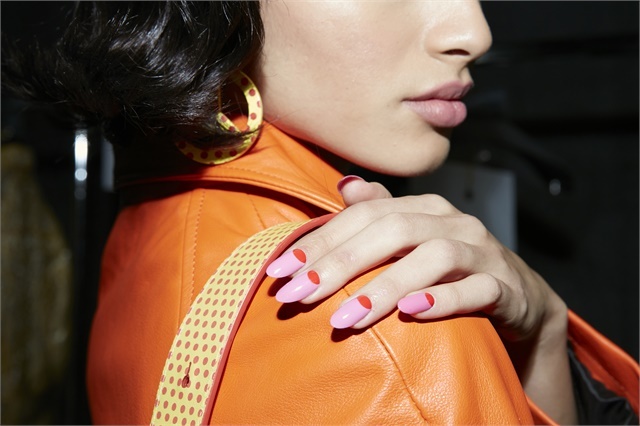 Miss Pop for Essie's bright half-moon manicure played off the mid-century vibe of Moschino's Fall/Winter 2018 collection. 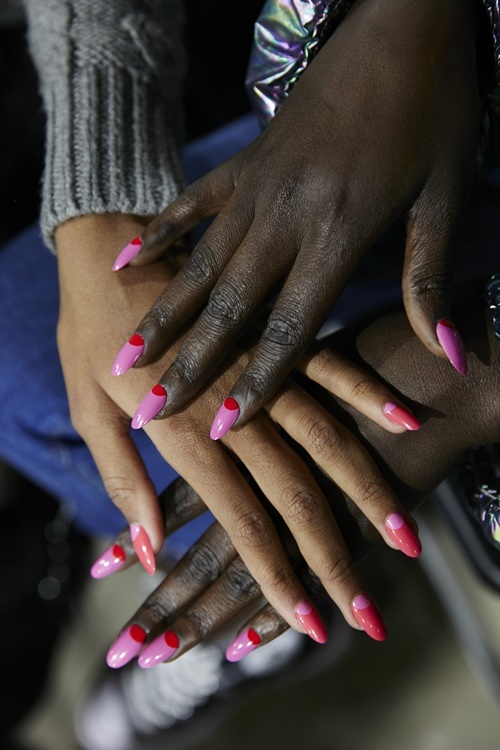 Playing off the mid-century vibe of Moschino's Fall/Winter 2018 collection, Miss Pop for Essie created a half-moon mancure made for the modern Jackie O. 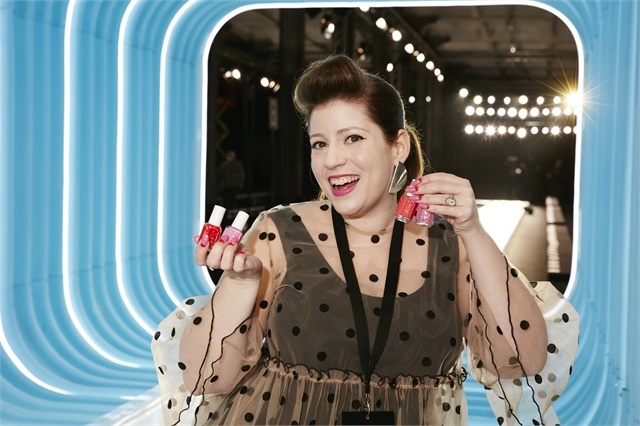 Miss Pop created a variety of half-moon manis using Essie in Geranium, Cute as a Button, Cascade Cool, or Madison Ave-Hue for the base color, with contrasting half moons in Geranium or Cascade Cool. 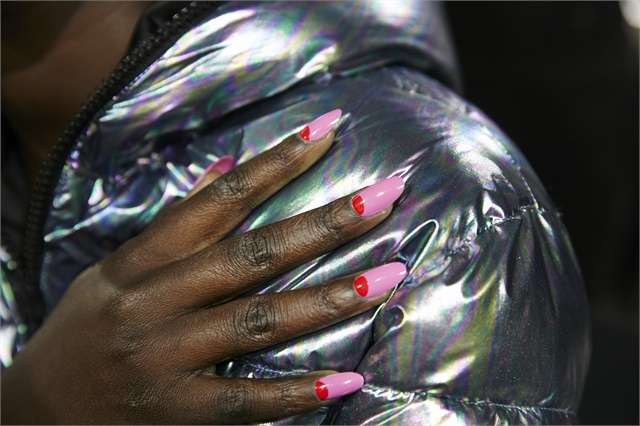 Check out more NYFW nail designs in this photo gallery.